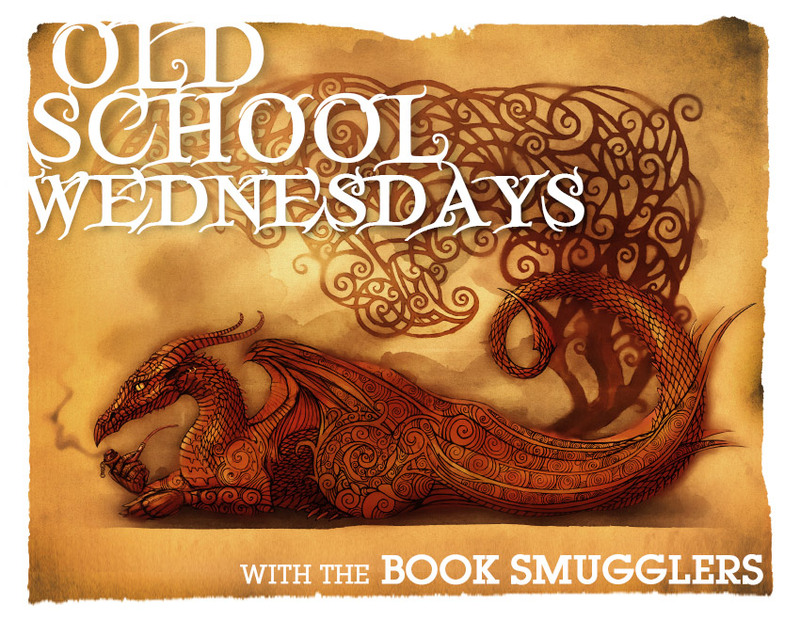 Old School Wednesdays presents Thea’s epic reread of The Dark Tower Series by Stephen King. May we be well-met, fellow traveler. 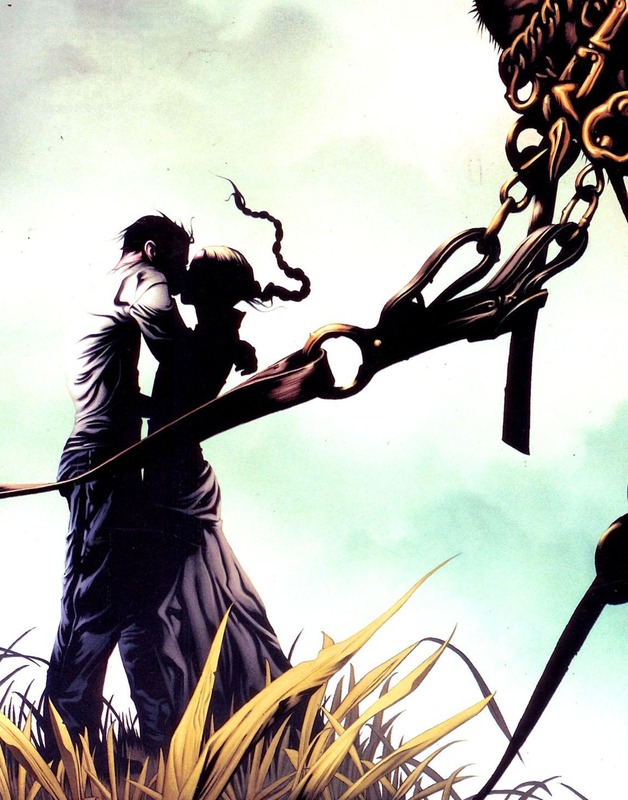 THIS MONTH ON THE DARK TOWER: Wizard and Glass is a departure from the other books in the series so far in that it leaves Roland’s new ka tet and revisits his youth, a doomed love affair, and a small outer rim colony called Mejis. 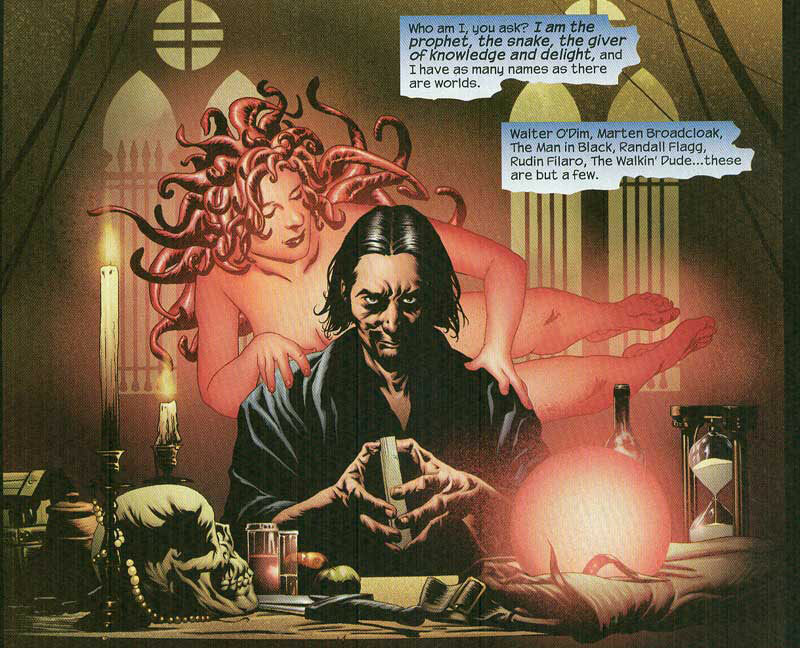 The journey continues here, in a different version of Topeka, Kansas, on a sort of yellow brick road, and into Roland’s sad past, with Wizard and Glass (Dark Tower 4). Wizard and Glass picks up where the last book left off, with our hero, Roland, and his unlikely band of followers escaping from one world and slipping into the next. And it is there that Roland tells them a story, one that details his discovery of something even more elusive than the Dark Tower: love. But his romance with the beautiful and quixotic Susan Delgado also has its dangers, as her world is tom apart by war. Here is Roland’s journey to his own past, to a time when valuable lessons awaited him, lessons of loyalty and betrayal, love and loss. Thus ends The Waste Lands, book 3 in the Dark Tower cycle, with Roland of Gilead, Jake, Eddie, and Susannah of New York, and Oy of Mid-World, riding aboard a deranged, slo-trans engine monorail through the wastes of a ruined land. Roland’s ka-tet faces Blaine’s, with a simple showcase of wills – if Roland and his friends are able to out-riddle Blaine, they will reach the end of the line safe and hale. If Blaine is able to answer all of their riddles, he gets to kill himself and all of his passengers in a great blaze of madness and glory. As the ka-tet makes its way through this dead world, determined to find the path of the beam and resume their course inward to the Dark Tower, Roland for the first time shares the story of his past: of a seaside ranch town called Mejis in the Outer Barony, of his ka-tet of old gunslingers Cuthbert and Alain, of first love found and lost with Susan Delgado, of betrayal and a great war between the Gunslingers’ Affiliation and John Farson, of ill-magic and a piece of Maerlyn’s Rainbow. 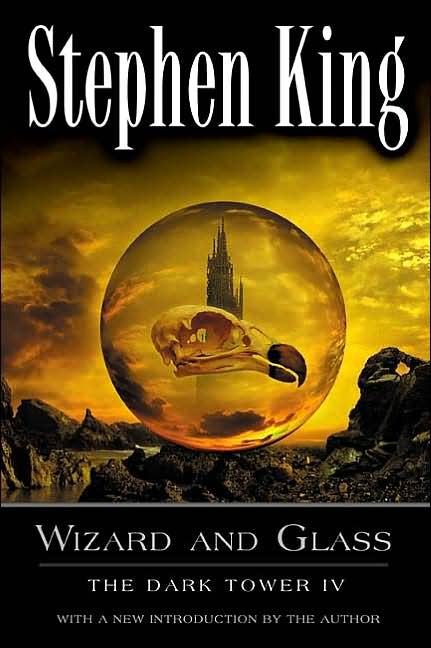 Wizard and Glass is a unique book in the Dark Tower series in that the majority of its hefty 600+ pages is spent not with the characters we’ve grown to know and love in the first 3 books, but rather in the past. I confess that the first time I read Wizard and Glass and learned this was the case, I was frustrated – I wanted Roland and Susannah and Jake and Oy and Eddie to get on with their journey to In-World and get to the damn tower! Who cares about Roland and his old friends and his sad love story? At least, that’s what I thought until I begrudgingly started reading about a fourteen year-old gunslinger and his friends as they are thrown into a situation way over their heads (in terms of war, in terms of friendship, in terms of love). As Roland would say, it’s ka; as Susan Delgado would say, ka like the wind, and there’s no stopping or resisting it. So I didn’t resist and fell into Wizard and Glass… and I loved it. I like to think of The Waste Lands, Wizard and Glass, and The Wolves of the Calla as the heart of the Dark Tower series. This inner trilogy comprises my favorite books in the cycle, starting with a time-traveling/world-hopping post-apocalyptic wasteland, then heading to a romantic western setting, and ending with a full-on Magnificent Seven reinterpretation. Of this core trilogy, Wizard and Glass is a hard book for me to re-read – not because it’s bad (it’s very, very good), but because it is so goddamn sad. 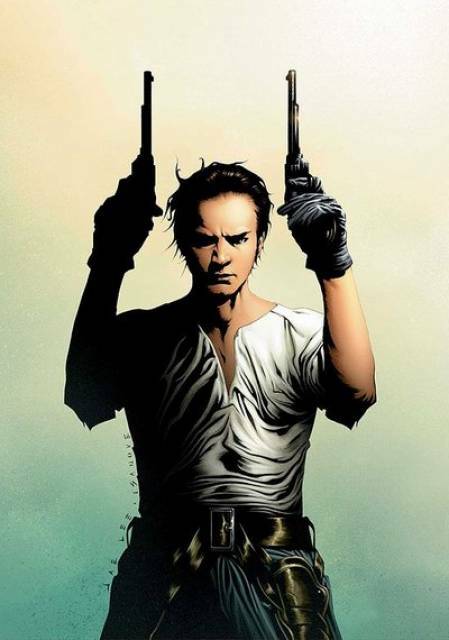 This fourth book shows us a very different Roland Deschain – or Will Dearborn, as he masquerades in Mejis. Sent to the Outer Barony while war brews in Gilead and the inner territories, Roland is given the sandlewood grip guns of his father Stephen (he also has just won those very guns himself by toeing the line and besting Cort with his hawk David – remember that story in The Gunslinger? Yep, that’s where Roland’s tale picks up in the past.) Under the pretense of being naughty, drunkard school boys, Roland and his two Gunslinger Apprentice friends Cuthbert Allgood and Alain Johns ride to Hambry on an idiot’s mission to count cattle, nets, fish, and any other supplies needed for the Affiliation in the war against John Farson. What the boys find in Mejis, however, isn’t what they’ve bargained for – there’s a conspiracy to war, there are 3 nasty failed gunslingers who were sent west… and there’s Susan Delgado. Wizard and Glass is so sad, because it shows us the serious but un-haunted Roland before ka started screwing with him and pitted him against Marten and the Dark Tower. It’s beautiful and heartbreaking, because we learn of this sixteen year old girl who is beautiful, brave, and utterly alone in the world; we see how she and Will Dearborn are well-met on a moonlit road, and how the pair, inevitably, fall in love. Susan is determined and passionate, but she’s also pragmatic; after losing her father to an accident and forced to live with her Aunt Cordelia, Susan agrees reluctantly at her Aunt’s pleading and manipulating to become Hart Thorin’s gilly – that is, his courtesan of sorts, charged with the task of bearing his child in exchange for money and safety of the Delgado ranch and Susan’s father’s property. All of these careful plans, Susan’s careful decisions and rationalizations, fall apart when she meets Will/Roland. Give my love her fondest wish. For Roland’s part, he’s also incredibly pragmatic and determined – he’s not the smartest, but his skill with guns is unrivaled, and his determination is superhuman. 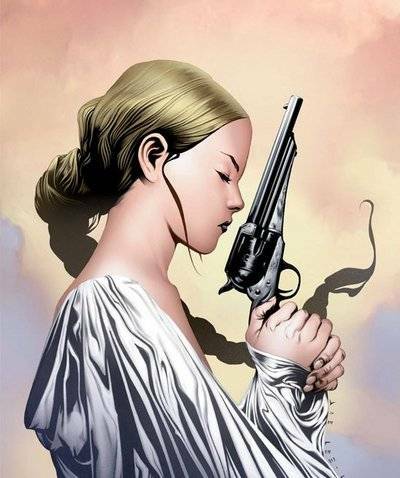 Even at age fourteen, Roland is unlike any other young man or gunslinger that was. Susan Delgado enters his heart, though, and suddenly everything becomes far more dangerous. Besides the danger of being caught and Susan being ostracized or worse, the situation is even more fragile because of the emotions of Roland’s friends and because something stinks in the town of Mejis. Roland is careful as ever, but his relationship with best friends Cuthbert and Alain become strained – I love the depiction of Roland’s relationship especially with Bert, and how first love causes hurt and jealousy but gradual acceptance on all sides. But besides the emotional turmoil that Roland and Susan cause within the ka-tet, there’s the larger problem of betrayal and corruption in Mejis. This small seaside town is supposed to be loyal to the Affiliation, its goods to be counted upon should war happen – but Roland, Susan, Cutherbert, and Alain discover that this is not the case at all. Livestock numbers are fudged, provisions are miscounted and sold – all through three nefarious Big Coffin Hunters (failed gunslingers and outlaws), who bring the goods to John Farson and aid his cause of chaos to bring the downfall of Gilead. Worse, there’s magic involved – a globe from Maerlyn’s Rainbow (that is, the thirteen colored crystal balls possessing different magical traits) is in Mejis, and that pink orb will cause more heartache and pain than Roland can imagine. Maerlyn’s grapefruit is SO CREEPY. I think in this book more than any other to date, the allusions to The Lord of the Rings, Sauron and Saruman, the twin evils of Mordor and Isengard, are so clear. The compelling – and twisted – nature of these magical glass orbs that can show the future, like the pink wizard glass that is Maerlyn’s Grapefruit, is terrifying and immediately analogous to the rings of power. And, while this pink glass is frightening and twisted with its compulsion and life-force-sucking hunger, and it dooms Roland and his tet in several different ways, it is not even close to the power of black 13 – which we haven’t seen yet, but think the One Ring. But really, the significance of Wizard and Glass is that it brings Roland and his ka-tet together, even closer than they’ve ever been before. Roland is haunted by the ghosts of his past, of the many, many people he has sacrificed on his quest for the Dark Tower. But in Wizard and Glass, old lean, tall, and ugly becomes truly human – not just to us readers (who may not have forgiven him for dropping Jake in book 1), but for his fellow friends and travelers. We see the people who have died, we see his part in ka‘s greedy schemes; we finally understand Roland’s determination. Or we understand at least some part of it. And Roland’s ka-tet is all the stronger because of it. When the group emerges from the Emerald Palace and find themselves back along the course of the Beam, we know that we’re getting closer to the Tower, and the end of the yellow brick road. Next: The Wolves of the Calla on July 8. P.S. For anyone wondering whether or not The Wind Through the Keyhole will be on this readalong, it will! I’ll circle back to “The Little Sisters of Eluria” once we’ve finished book 7, and then end with The Wind Through the Keyhole as the last book on this reread. I actually found Wizard and Glass really tedious the first time round – I kept wanting to get back to the Path of the Beam. It was only when I re-read it that I realised how good Stephen King is at building tension, reeaallly slowly – you just know something dreadful is about to happen, but not what, exactly. But I did find the Wizard of Oz stuff really, disappointingly silly.